T-rex Dinosaur Invitations. The Best Realistic Invitations for dinosaur enthusiasts loving everything prehistoric. 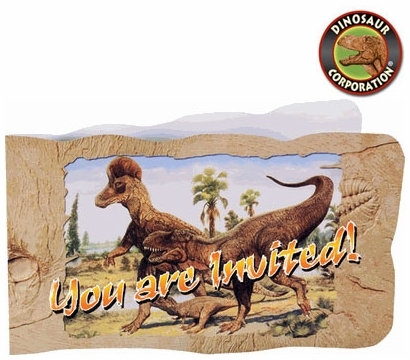 * 8 Deluxe T-rex Exclusive Invitations with envelopes per unit.